Rockin’ my new bow tie today that Kate gave me for my birthday. It has bulls and bears on it, and they picked it out because I do so much work on Wall Street. Perfect! Home » Blog » Family » Rockin’ my new bow tie today that Kate gave me for my birthday. 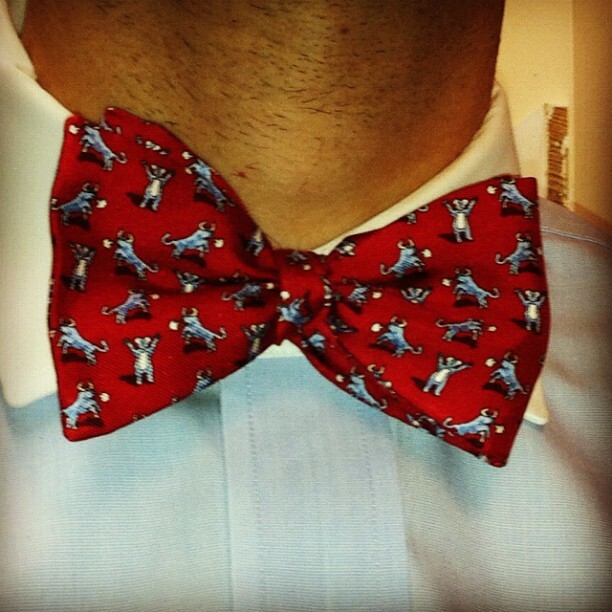 It has bulls and bears on it, and they picked it out because I do so much work on Wall Street. Perfect!